Ted Berrigan’s seminal The Sonnets is renowned for its famous use of cut up technique and reconfiguration throughout the sequence. 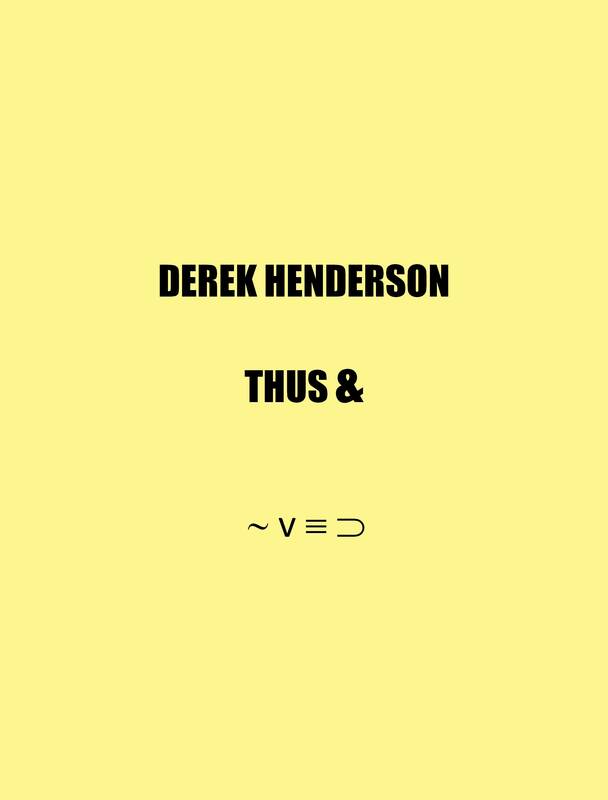 Derek Henderson’s erasure Thus & eliminates all word and typographical duplications. In addition to the strikingly beautiful, often minimalist, sonnets created by Henderson, Thus & asks new questions of each Berrigan sonnet and the sequence as a whole. Thus & reveals (conceals) not only the clusters of phrases/lines that were cloned by Berrigan but also words which he repeated; many obviously subconsciously. What is left in Thus & is part skeleton, and underbelly, of maître-sonneteer Berrigan’s The Sonnets and part alien remix by techno-magician Derek Henderson.